To get that feeling of confidence about the way you look, visit LADY’S IMAGE where your image is our most important product. 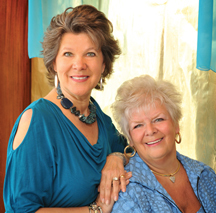 Sisters Janice and Jane have been serving their customers 33 years in the same location. Come, discover why readers of Delaware Today magazine have voted LADY’S IMAGE Best of Delaware 16 years running.